The next day the other visiting student from our research group, Michael, had arrived, and unfortunately didn't get the memo about ATM withdrawals on campus. The only solution: find a post office - the nearest one being Ishikawa - and commandeering their ATM. That is, if we had access to a car. Fortunately Sawako, the groups research administrator, was able to jump through some bureaucratic hurdles and secure us access to one of the OIST cars for 3 hours. For free, even. Turns out that getting my international drivers license (on a whim) before leaving Perth was one of the better decisions I've made thus far. One of the first things that struck me when I got off the plane in Naha were the cars zipping around Okinawa's narrow streets. After not sleeping for 24 hours, they just looked so bizarre. Like mini-minivans, if you can picture that (see the above photo for reference). It turns out that these are kei cars (or keishas), indicated by their yellow (as opposed to white) number plates, or 'light' cars. Governed by strict size, weight, and power regulations, they turn out to be significantly cheaper to own and run, and have obviously become the vehicle of choice (4 wheel drives and sedans are few and far between). 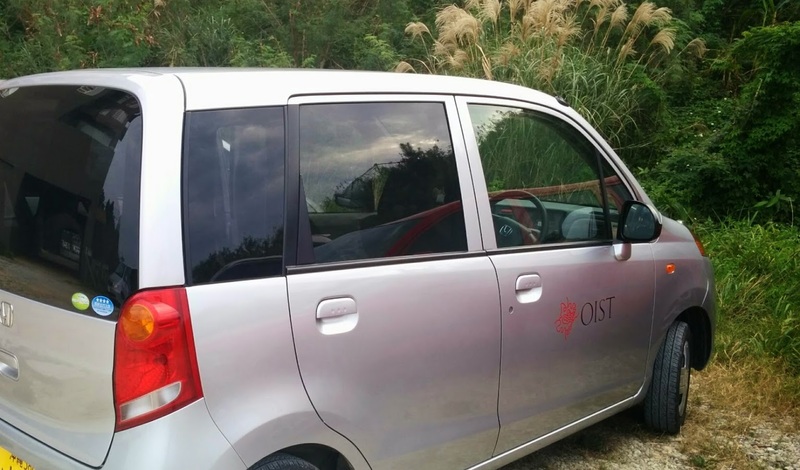 And so we set off, in our very own OIST branded kei car. It was... very strange to get used to. For starters, it felt like I was driving a very elaborate lawn mower. And the size of it - the two front seats are essentially side-by-side, requiring a somewhat oxymoronic 'handbrake-pedal' and a considerably cramped dashboard. Interestingly, the car radio was tuned to 89.1MHz, or AFN Okinawa Wave89, the Kadena Air Base radio station - sounding almost like an American exclave in the heart of Okinawa Honto (of which it is, I suppose). The drive itself was interesting to say the least. 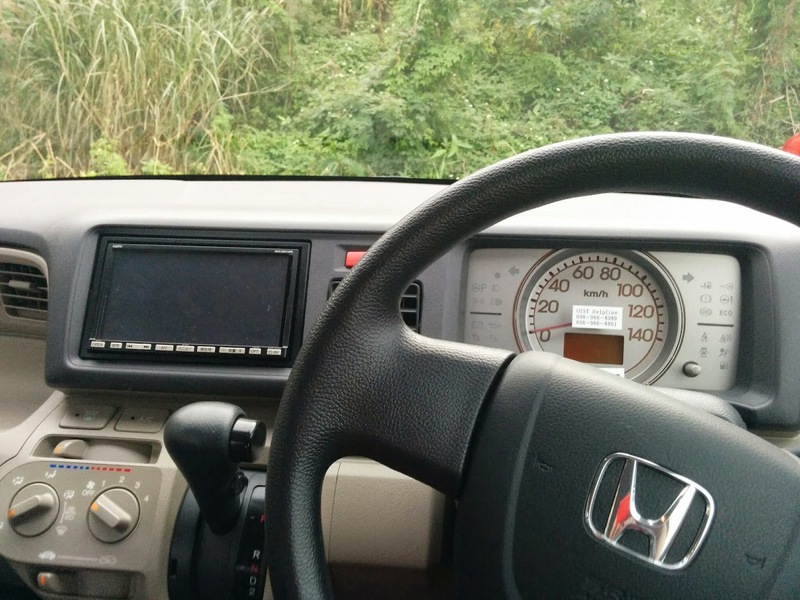 Driving on Okinawa, it turns out, is seriously slow and leisurely. The speed limit on main roads is a measly 40km/h, increasing to a thrilling 50km/h on the highways, and a spectacular 80km/h limit on the expressways. Although, to be fair, this was a bit difficult to work out to begin with, as half the cars routinely stay 20km/h above the speed limit, creating an almost two-tiered road system. 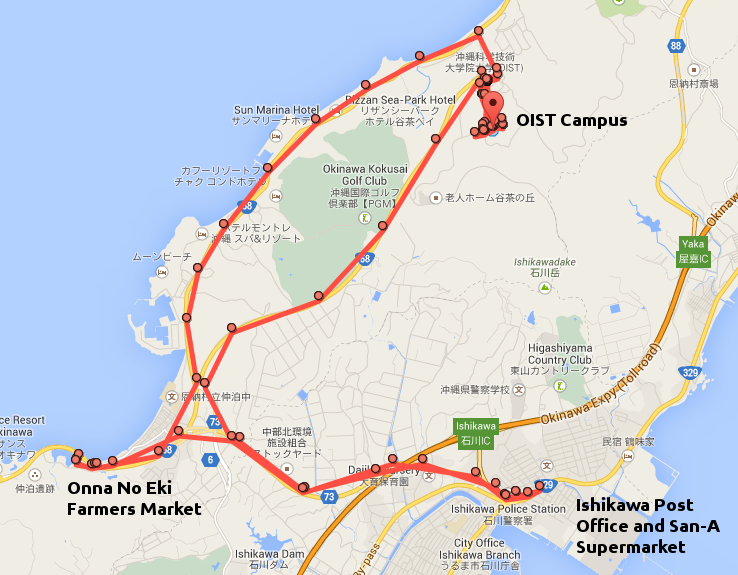 Coupled with the narrow roads and ridiculously frequently timed traffic lights along the highway, I finally started to understand how the 40km distance between Naha and OIST can become an almost one and a half hour drive. I'd made a wrong turn. Michael's 'straight ahead' and my 'straight ahead' didn't exactly agree due to the strange layout of the Nakadomari-Ishikawa intersection. "No worries, I'll just take the next left and try to turn around." "Oh, a carpark. How convenient." Sitting right next door to the carpark - or most likely the main reason for the existence of the carpark - was the Onna No Eki farmers market. The very same one I'd walked more than an hour to reach yesterday before turning around at a (very intimidating at the time) fork in the road. So many sata andagi flavours! 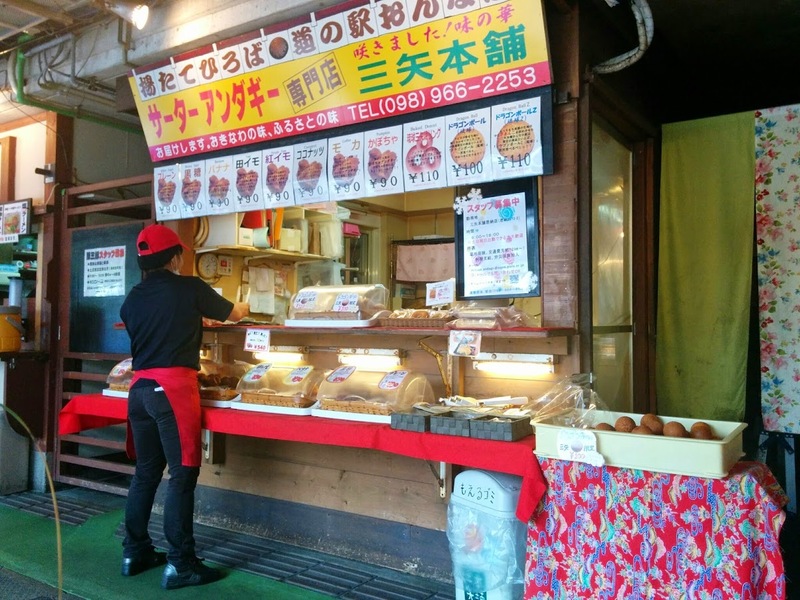 Oh and Dragon Ball Z donuts (far right) - another local specialty. And you know what? It was a pretty delightful little farmers market. 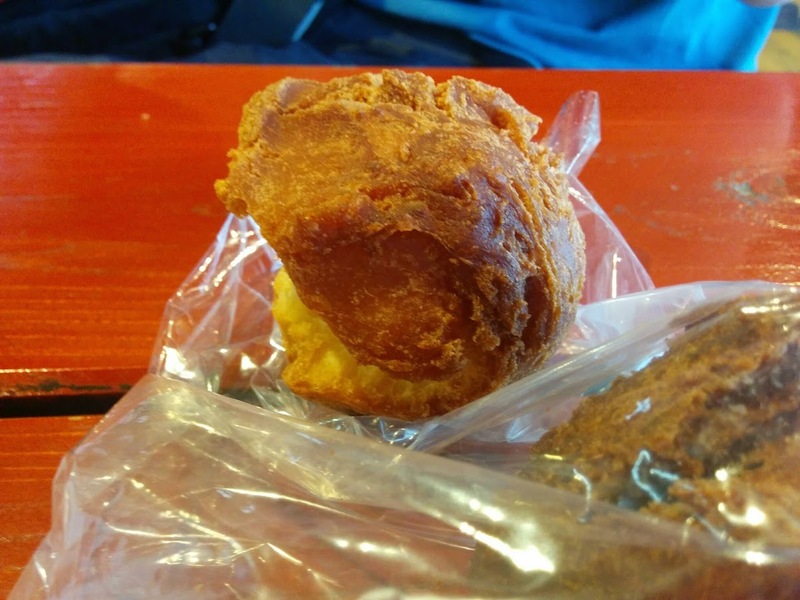 I'm not going to lie, mostly due to our discovery of sata andagi, an Okinawan style donut. We tried both the plain sugar (amazing) and the brown sugar (B+) variety. I'm dying to go back and try them all. The rest of the afternoon was pretty uneventful. We made our way to the post office without any hiccups (finally! an ATM! 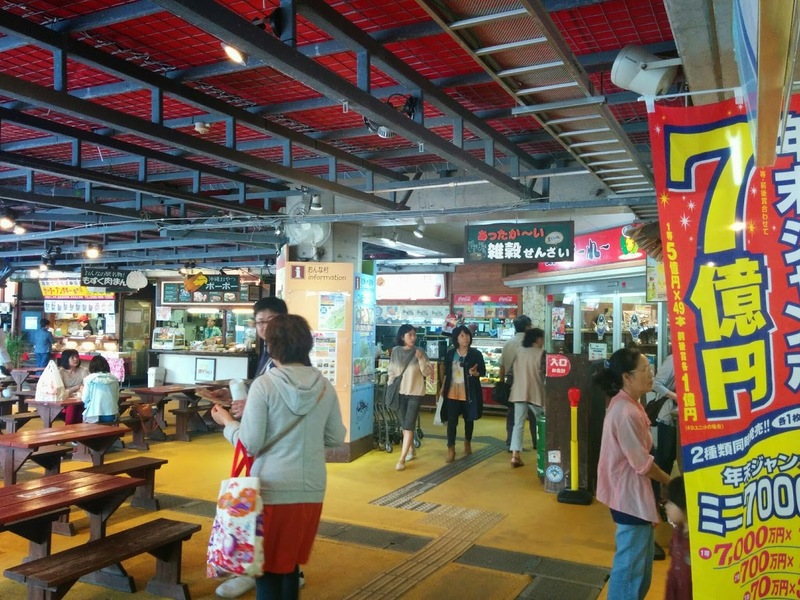 ), and crossed the road to visit the San-A supermarket and pick up a few things we had forgotten (paper towel, steak - oh how I'd missed steak - an actual non-stick frying pan - well worth it even at ¥1800). We've booked the car again tomorrow from 7am till 6pm. Which, if anything, should definitely be an adventure.